"Our brand name MYTH, is actually an acronym that represents our values: Modern Youthful Trendy Haute, which also best describes the kind of woman we design for. We keep every thought, every creation and every effort in growing our business truly Modern, Youthful, Trendy and Haute." On Day 6 we feature MYTH House a luxury accessories brand that uses unconventional materials, especially metal mesh, to create sophisticated fashionable pieces for the Modern Trendy Youthful and Haute woman. A proudly made in Ghana product from an innovative house of fashion. According to the CEO and Creative Director of the brand,Kukua Buckman, MYTH was birthed when she came to Ghana after a master's programme where she worked on a project that had her working with metal sand. She was also inspired by and developed the concept from a bag she saw by Anndra Neen. And now five collections later, Kukua must be a very proud mama, because her "baby" is growing beautifully. 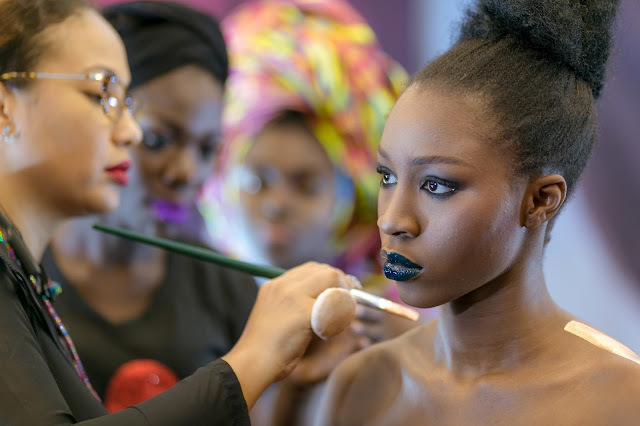 Some of the brand's highlights include; a feature by Poqua Poqu, at the Durban Fashion Fair in South Africa,a feature in An African City series, a feature in She By Bena's Skittles Collection and the Exclusive Fusion Artistry Fashion Show. We are looking forward to seeing MYTH featured in the ever-glamorous Vogue and Bazaar pages on the season’s hot accessory list or as a feature piece in an editorial shoot. We look forward to becoming a runway regular at the Paris, London, Milan and New York fashion weeks. We are believing and working hard to be GLOBAL in the next 5 years. I enjoyed shooting this one with my bestie Gifty Sackey , thanks babe for tagging along. This bag is a classic piece and every woman needs to own at least one.